Take the Drive from Fort Collins to Check Out Our CPO Acuras! Woud you like to enjoy the benefits of owning a luxurious and sporty vehicle in Frederick while also saving money? Then make the drive to Boulder, CO and finance a CPO Acura at Fisher Acura. 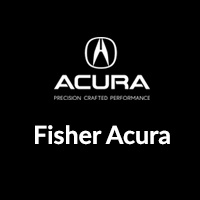 And when you do, you can count on the Fisher Acura team to be there for you for as long as you own your vehicle. We’re open Monday through Saturday starting at 8:30 a.m., and you can reach us with questions anytime!